I first heard about Donald Crowhurst from my father. He told me the story of a round the world yacht race and the characters that were involved, painted a picture of eccentric men, each of whom were driven to pursue something tantamount to madness. He told me the story and it almost entirely slipped my mind until years later. 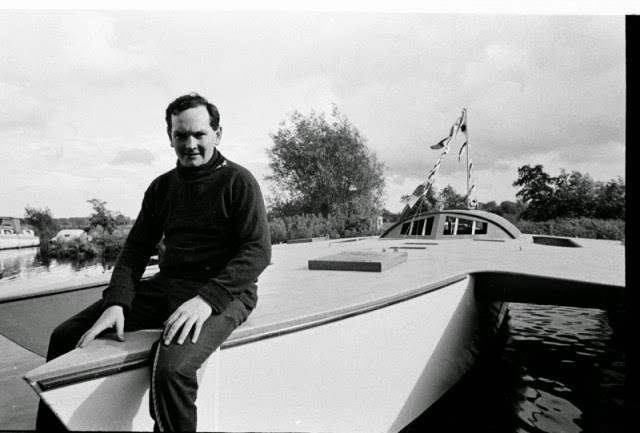 I was talking with my friend Tanja, who had been slightly obsessed with story and when she spoke to me about Donald Crowhurst, something rang a bell. 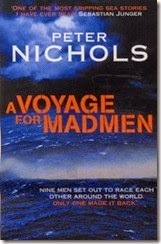 Since he was a boy, my dad had been in the habit of reading a book a week and when I asked him again about Donald Crowhurst, he produced a book, “A Voyage For Madmen” by Peter Nichols. I read it in a single sitting, once again, captivated by the tale. I wanted to write a song about it, about Donald Crowhurst, but no matter how hard I tried, all that I produced seemed trite and vulgar. In trying to translate the events, something fundamental was lost, everything I produced showed little insight and proved I knew nothing of it at all. And how could I know anything at all? After all, Donald Crowhurst’s tale end’s in an enigma, one clouded with deception. 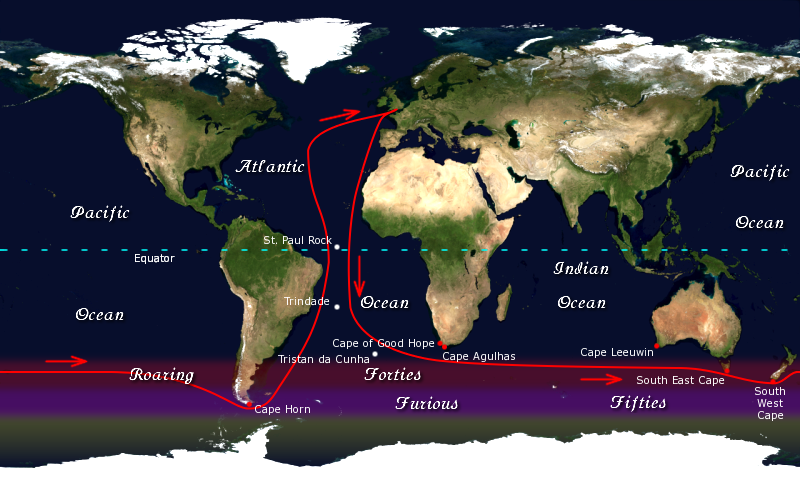 In 1968, The Sunday Times Golden Globe Race was held, a solo unbroken yacht race around the world – the first of its kind. Journeys were to be made alone, in a single voyage, without once touching land. Not only was it dangerous as a voyage, but the immense mental strain would be arduous, too much for most.There were nine entrants in the race and of these was Donald Crowhurst – an electronics engineer who had designed and built a navigational aid called The Navicator. Despite being knowledgeable about sailing he was largely inexperienced, as people said; a weekend sailor. With his business falling into ruin however, he saw the Golden Globe Race and more importantly, the £5,000 cash prize as a means to save his family from bankruptcy. 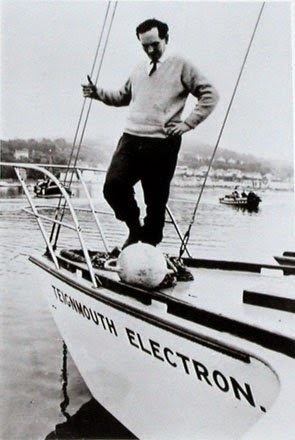 Crowhurst’s boat, The Teignmouth Electron was a Trimaran, an usual choice at the time. With his back to the wall financially and with time running out before the start of the race, many of the features he wished to implement were abandoned and so he set sail on the last day permitted from Teignmouth, Devon on the 31st of October. His boat half-finished. Things did not start well, equipment failed and his inexperience on open waters meant he soon found himself making half the speeds he needed to. Crowhurst was no fool and within those first few weeks of sailing, he gave himself a fifty percent chance of survival. With his house and business mortgaged to pay for the race, he was left with two options – quit the race and face bankruptcy and ruin for his family, or continue, likely dying in the process. Then, however, a third option presented itself – one which might allow not only his survival, but a means of taking the prize money. 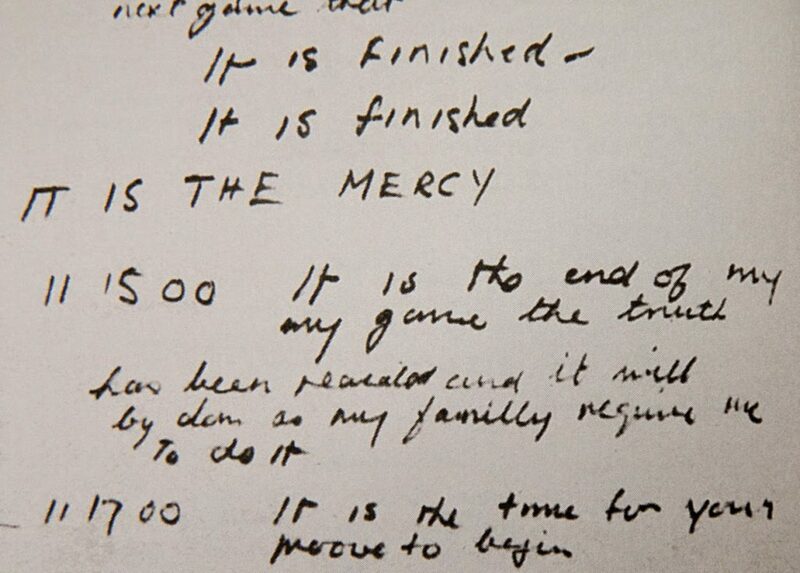 In December 1968, Crowhurst began falsifying his progress, giving vague reports on his location, whilst forging a logbook that gave him a sudden lead on his opponents. In truth, Crowhurst’s boat was severely damaged, sailing somewhere in the Atlantic. By now there were only three other competitors in the race, a French man named Bernard Moitessier and two other englishmen named, Robin Knox-Johnston and Nigel Tetley (fascinating stories in themselves and well-worth reading about). In the public eye, Crowhurst’s gain put him in a great advantage and it was believed by many that he would likely win. collect the cash for fastest time. Then in April, Knox-Johnston crossed the finish line, winning the race – however, having set off at a later date, Crowhurst and Tetley were still in competition for the fastest time. In reality, Tetley was far in the lead, but Crowhurst’s false reports, put him hot on his tail. Beleiving he was losing the lead, Tetley pushed his boat on to destruction. On May the 21st, Tetley’s boat broke up and he put out a distress call, rescued the next day from his life raft. would be discovered, his life and family ruined. He was in an impossible situation. The mental strain and the loneliness was unbearable, he had made a gamble and lost. Plagued by guilt, Crowhurst had been keeping a new logbook – one that would cast his story into a deeper tragedy. “Cannot see the ‘purpose’ in any game. No game man can devise is harmless. There can only be one perfect beauty that is the great beauty of truth. No man may do more than all that he is capable of doing. The perfect way is the way of reconcilliation. Once there is a possibility of reconcilliation there may not a need for making errors. I am what I am and I can see the nature of my offence. himself in the journey. It is believed he took his own life, casting himself to the ocean with a single logbook and the ship’s clock. He left behind him a wife and four children. Nothing I could write would make sense of this story, the act of trying was disrespectful. Songs were written, drafts abandoned – ideas skirmished and unfinished, each one distasteful to me. Then, many years later, one Christmas, a friend of mine, gave me a copy of a film called Deep Water. Mark was an avid film lover and he had seen the documentary recently. It was about Donald Crowhurst. but Donald Crowhurst had staked his life on it. or not his actions along the way were noble, he had risked everything. To save his family from bankruptcy? Perhaps. You tell me. I couldn’t write about Crowhurst, but I could write about myself. I could write about the pangs of ambition, the weight of the past, our regrets, our hope for the future, the fear of loneliness – all those things. It was succinct and it was clear in my head. It took me an evening. we are the want of all dreams in an endless ocean. For the cover art, I chose a picture of the ocean at Dawlish, it meant more to me than the waters of Teignmouth, though it was arguably the same sea. The video was shot and cut entirely by myself. I had a very clear idea of it, I didn’t want a narrative, or to see me playing the song as such. Music and words, conjur images – these are the things I saw in the music – inevitability, the passage of time. I saw it in the photographs of my family and the items I had been given over the years, each heavy with memories. The skyline I see each day from my window was the one I wanted to capture and so only one shot was filmed outside my house. Lights drifting in darkness, something reminiscant of restless wanderings, lonely journeys, hoping to return home. 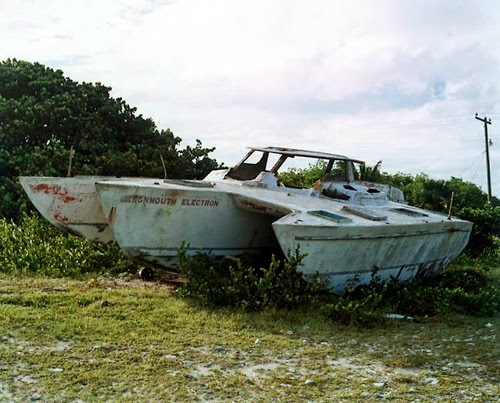 The real Teignmouth Electron now lies in ruin on a beach in Cayman Brac, slowly reduced to debris by the elements. Donald Crowhurst is often spoken of as if he were a character from a film, his life dwarfed by the events surrounding his death.Donald Crowhurst was a man who lost his life in a situation that spiraled beyond his control, one worsed by notions of fame and success – elements that were stoked by the media and people who stood to profit from his story. For whatever reasons, whether he was no longer himself at all by the end of it, Donald Crowhurst could never return home, and I wish, at least in part, he could have. As an artist I always endeavour to write as if my work will never be seen, as if it is only of value in its self. I attempt to find detail and reward in the process and not work with the mindset that i must prove anything, gain acceptance or praise from the people around me. I fear these notions are born of vanity will cloud my judgement and ability to produce anything of quality.I often fail in these endeavours, and that is fine also. 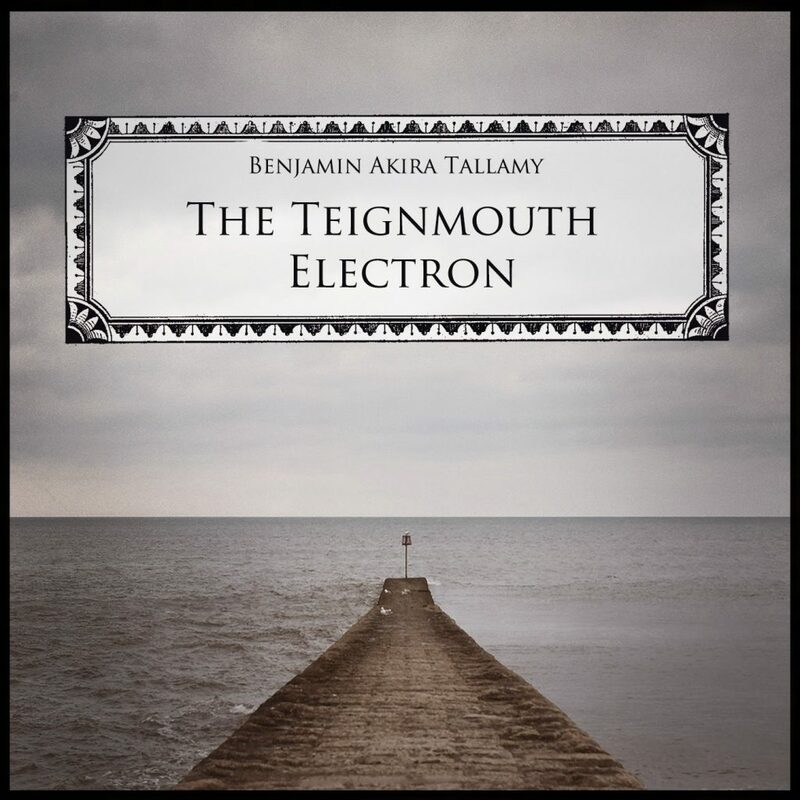 This being said, The Teignmouth Electron is a film, a song and an idea which, to me, has been executed with a precision which I hope to refine some day, but am very proud of for now. The story of The Teignmouth Electron made me look deeply at myself and the people in my life who matter to me and I see some value in the result. We are told we live in a culture which doesn’t value music anymore, that art has met consumerism in a world of iPods and Youtube Vine, six seconds here, three minutes there. Though the technology is different, I don’t believe this is a new culture or even that it is particularly true as a concept. We have different means to access art and a wider pool to draw from and I’m sure if we looked at the results, we would still find we are no-less a species obsessed with music and literature, film and art. In ourselves though, we can give antidote to those ideas by how we see our own work, to cherish each step, through to the end. There is treasure here, though it may only be of worth to me, I am glad to have found it. Thank you for reading my post and taking the time to hear my music. If you don’t enjoy it, dear reader, I apologise for wasting your time.